Open another window and go to Google. Type in Taipei and do an image search. How many hits came up that look just like the photo above? 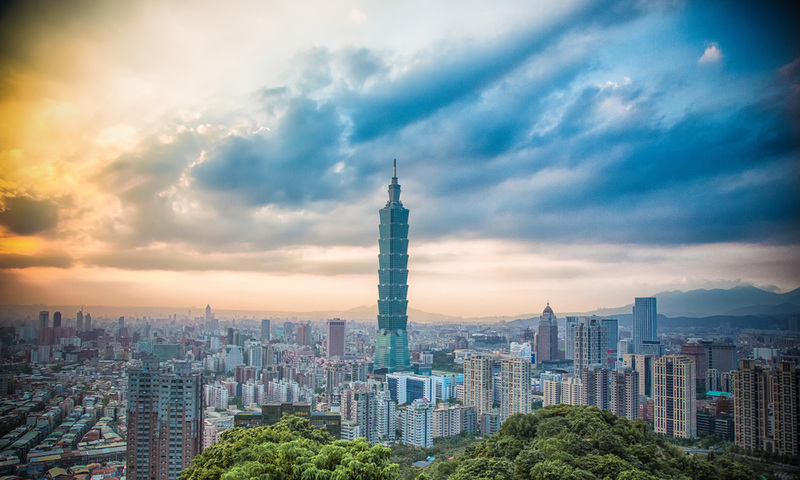 The view from the top of Taipei's Elephant Mountain has become somewhat of a cliché shot for photographers, but they are also a symbol of a prosperous and bustling city. 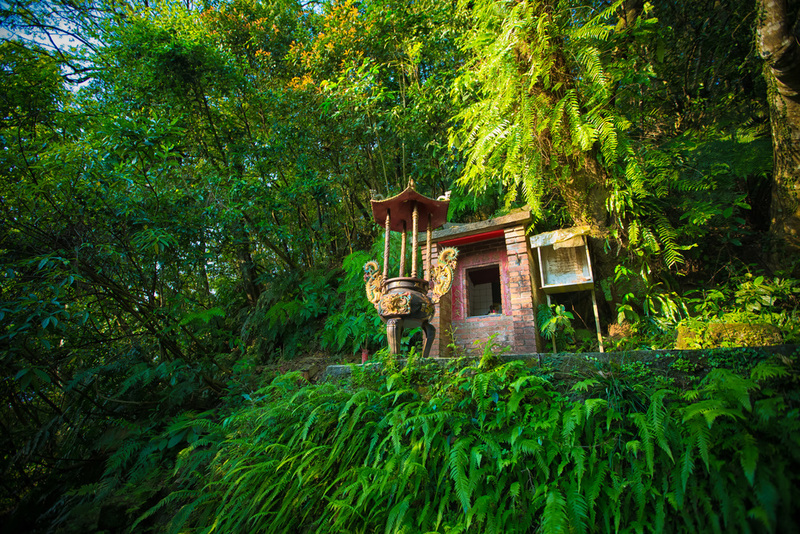 Hundreds of shots are posted each and every day from this mountain and it has pretty much become a must-take shot for any traveller visiting Taiwan. The Trailhead for Elephant Mountain and other peaks. 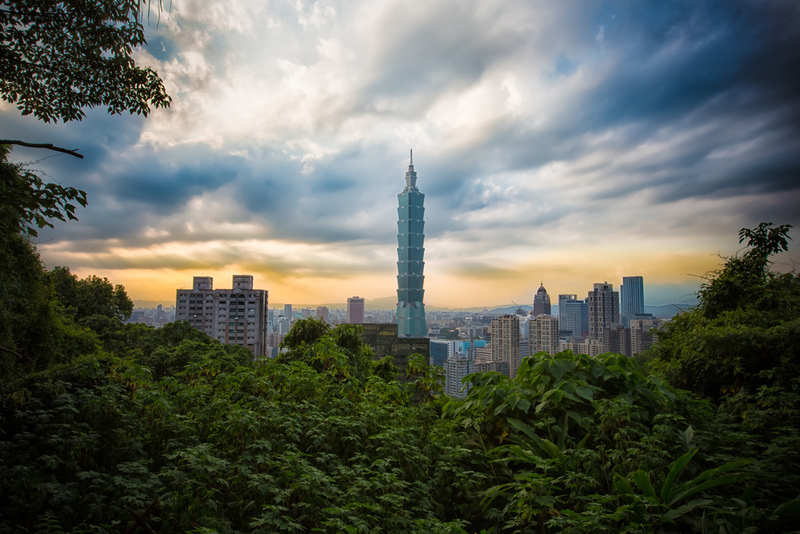 Elephant Mountain (象山) is a part of a larger set of mountains known as the Four Beasts (四獸山) which are a set of mountains that surround Taipei City. As far as hiking goes, this is about as easy as it gets, especially when you consider that your reward for hiking this mountain will be instantaneous panoramic views of the city. 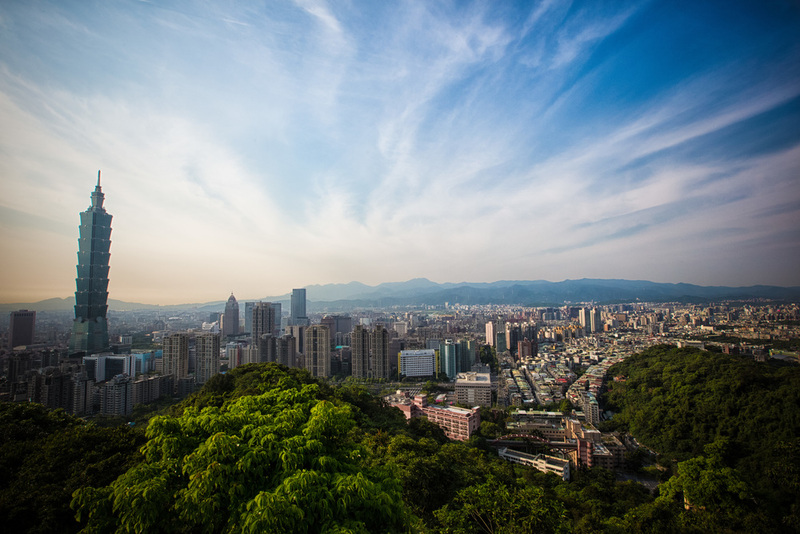 Convenience is also a major factor in the popularity of the mountain as it is easily accessible by Taipei's subway system via the new Xiangshan Station (象山站) which is a short walk from the trailhead. 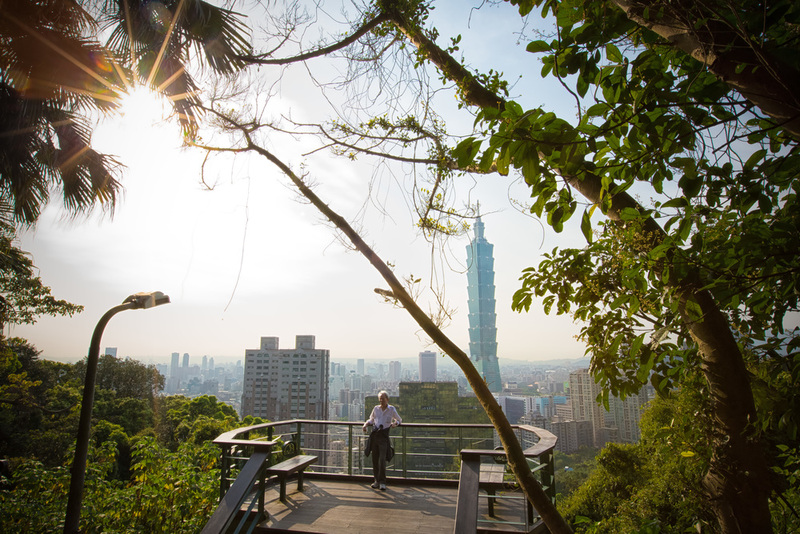 The Elephant Mountain trail (象山親山步道) is a more or less just a steep set of stairs that takes about ten to fifteen minutes of walking before you arrive at a viewing platform where you will have spectacular views of the city and its most recognizable resident Taipei 101. The trail is popular with hikers young and old as well as amateur and professional photographers – be warned though that the photographers on this mountain tend to be MORE annoying than mosquitos as they travel in packs and swarm empty spaces. Sunrise and sunset are popular times on the mountain and if you want to have a space to take some photos you need to arrive quite early. Calligraphy etched onto the peak of the mountain. Rude or beautiful? What I personally find most unfortunate about this hike is that the majority of people only get themselves as far as the viewing platform and then turn around to head back to the MRT station. If you do that, you are missing out on all of the other hiking trails which arguable have even better views of the city. On the day I did the hike, a 70 year old man came up behind me and we were the only ones on top of the mountain. He commented that his wife was waiting at the bottom for him and that she was really missing out as the views were spectacular and I tend to agree. 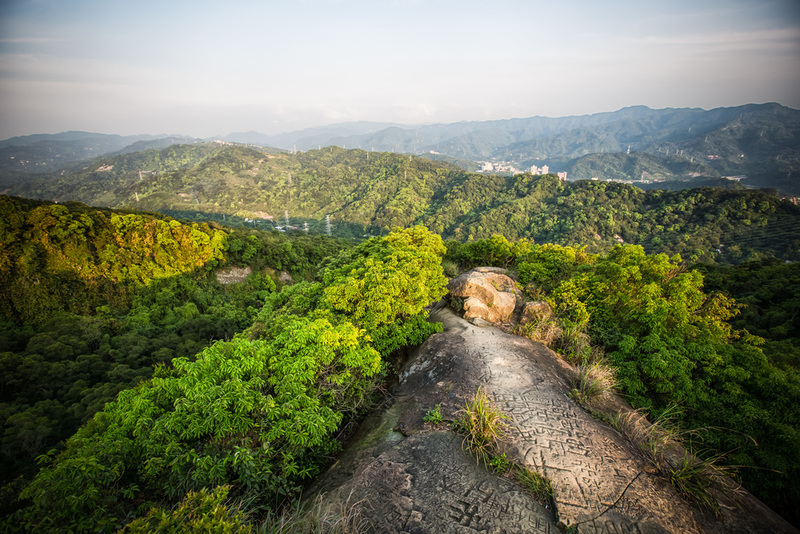 Hiking these mountains doesn't take a lot of skill or time – so rather than paying a bunch of money to run on a treadmill at a gym, why not take the MRT to Xiangshan Station (象山站) and enjoy some of Taipei’s great scenery? The mountain may be considered an easy hike for seasoned hikers, but don't let that fool you, you will definitely break a sweat walking up this one. If I lived in Taipei, I would probably hike this mountain every day as it is a great work out. 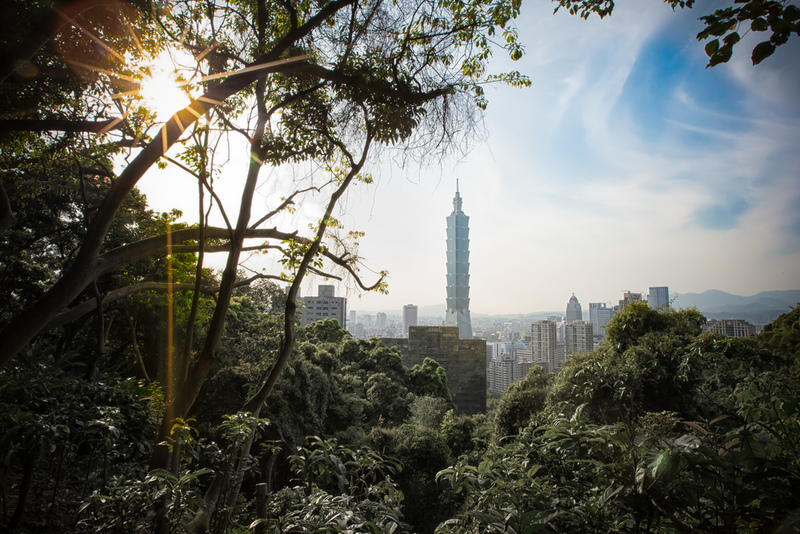 If you are travelling to Taipei and want that iconic shot of the city, I suggest stopping at the Elephant Mountain platform for a short period of time and making your way further up the mountain to Thumb Mountain! If you don't have an expensive full-frame camera and wide-angle lens, the extra time it takes to get to the the peak of Thumb Mountain will likely yield a much better shot as you'll be able to get a much wider view of the city than you would from elephant mountain which is closer to the city. No matter what kind of shot you get, the important thing is that you are happy with your experience and ultimately enjoy your time in Taiwan!